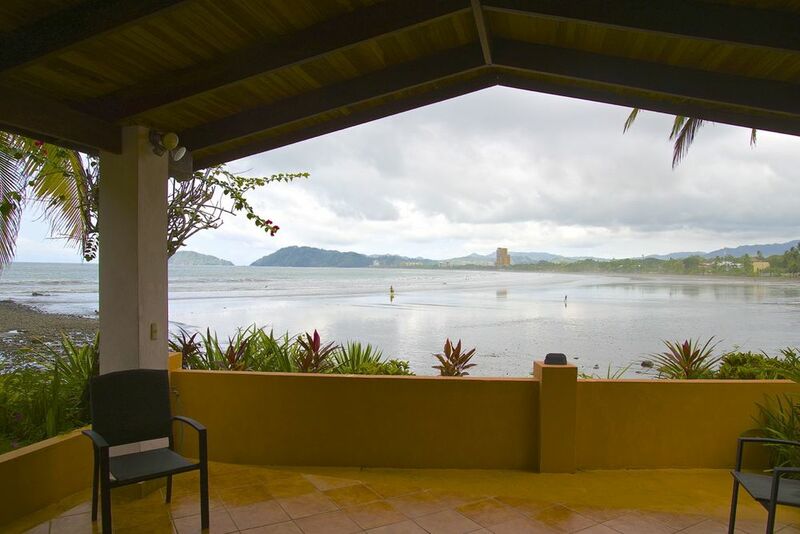 Southbeach Paradise For Sale $3,500,000 - The Most Southern Beachfront home in Jaco Beach, Costa Rica - $1,400,000 House only. Pacific Properties presents casa South Beach Paradise, the very last property on Jaco's desirable South Beach. This titled beach front property is very private with it's own private driveway directly off of the Costanera and has only one neighbor. The grounds are meticulously maintained with lush greenery and tropical flora with an area for Macaws or other tropical pets. 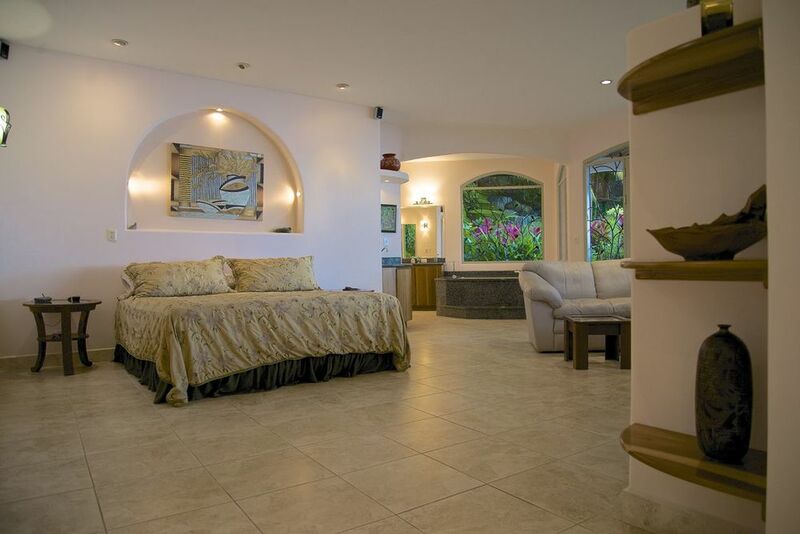 This one of a kind, single storey villa boasts incredible views of the Pacific Ocean and Jaco Beach from the over sized covered patio as well as the interior living space. The entire open concept home features custom wrought iron doors,windows and sliding glass doors as well as a large drive in garage. The living room has vaulted ceilings with beautiful wooden beams and is combined with a modern kitchen and full bathroom. 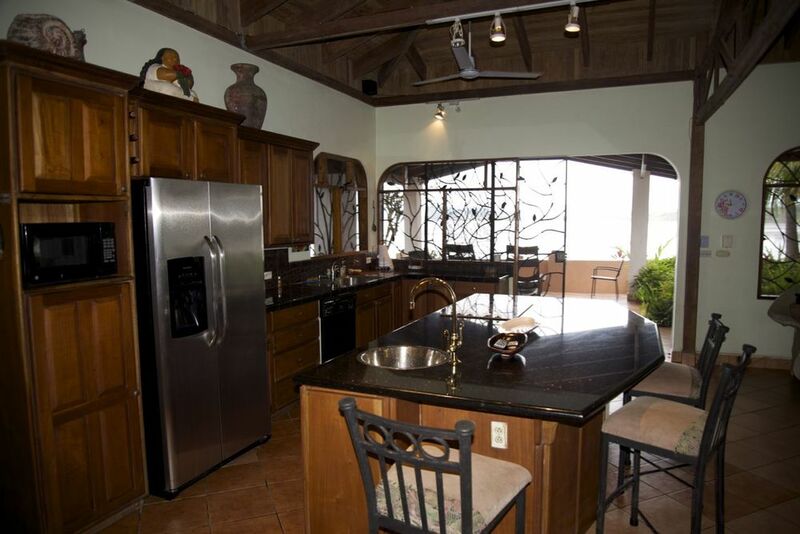 Both the living room and kitchen have beautiful large windows with stunning views of the beach. The kitchen features granite counter tops, plenty of cabinetry, stainless steel appliances and one of kind custom mosaic artwork. The masterpiece of this villa is the incredible ocean view master suite featuring two separate work rooms, private sitting area with amazing ocean views and a large open master bath. 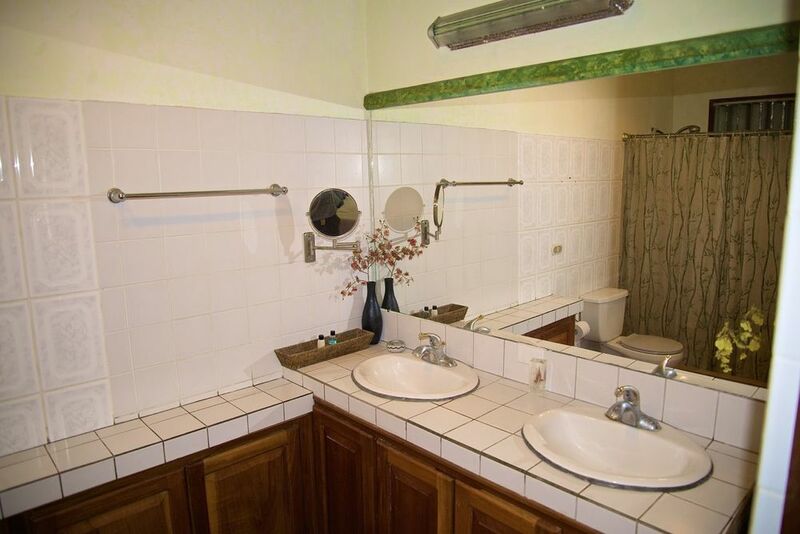 The master bath includes a jacuzzi tub with views of the properties private waterfall & lap pool, double sinks with granite counter tops, a large walk in shower as well as a walk in closet. 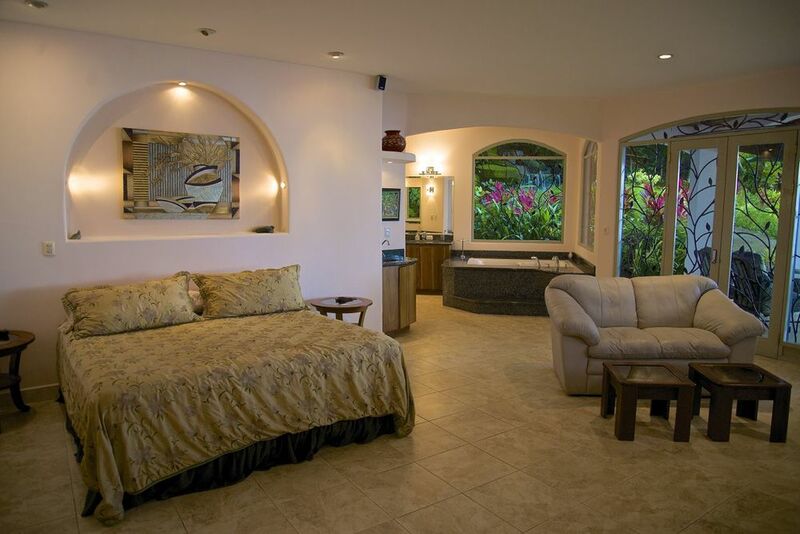 The villa also features a large guest room with a full bathroom and walk in closet separate from the master suite making the villa feel very spacious. There is also a maid's quarter and large utility room which can be transformed into a third suite if desired. Enjoy relaxing in the custom lap pool & waterfall with priceless views of the beach, a true paradise on the south end of Jaco Beach.